What happens after the 14 day trial runs out? It wouldn’t be free then would it? No, after the free trial runs out it will cost money. they have a couple of different pricing packages available. 2. annual subscription of $39.99 first year, $19.99 each year thereafter. if you have an xbox360 and a wii how do you hook both of them up? 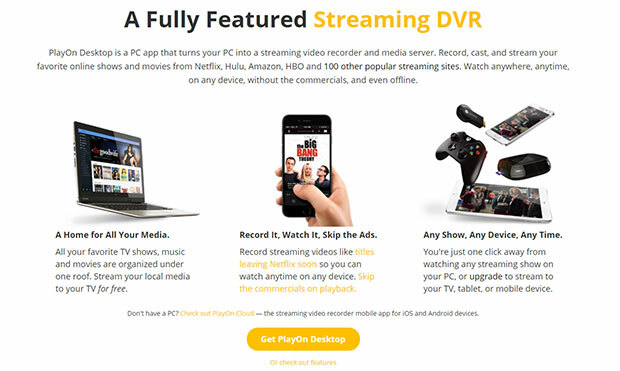 You should be able to just setup the Playon software on one computer, and stream it to both the Wii and Xbox. It just recognizes different devices on your network and streams to them. Great share definitely but it’s really a lot of hassle. I usually just go to tvrill.com for tv shows. I would love to switch to this type of system however my husband is a fan of sports tv…golf, baseball, basketball, etc. Is there any system or plug in that would accommodate this type of access? We subscribe to a service called Playstation Vue that has our local sports networks available. It may be worth a look. With this service, do I also need to get a Xbox Live or Playstation Plus account to run this through my game consoles? And can I get HBO through this service? No Mac option. Can’t use it. What a shame. Is this true? There is no Macintosh application? Any time you are prompted for a credit card, the “free” offer is a lie and the vendor loses all credibility. Not true Mark… They actually have a free version for download (no credit card required), but it is limited (can’t record).. If they had a free trial without credit card… Then people would just keep signing up with different emails… (I would). So, you can download the free version which I am using. I will wait a few days for the 7 day free trial (that lets you record) because, Stranger Things Season 2 airs on Netflix in 10 days and then, I can record the series. Lol. Previous Post: What Are The Different Ways Of Investing Your Money?